I gathered the newest solid base designs for Town Hall 9, War Base Layouts and Farming Base Designs. 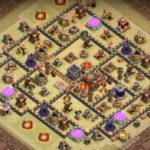 I got many emails/comments recently relating to featuring some solid TH9 Base Layouts, so I thought you might enjoy a post with some good ones I found. One thing before we start off, if you use a base you find on the web you should always try to change it just a bit. 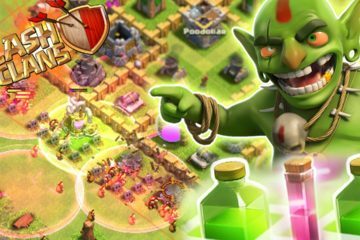 If you’re Town Hall 9 and you’re moving to war you often see higher Town Halls smacking your base – that’s why a specific kind of Anti 3-Star approach started growing in the past month. In this approach, you take the point that your Town Hall gets taken, but you want to use a base layout that will make it really difficult to destroy all of the base. Here are 3 bases that actually work very good for that. 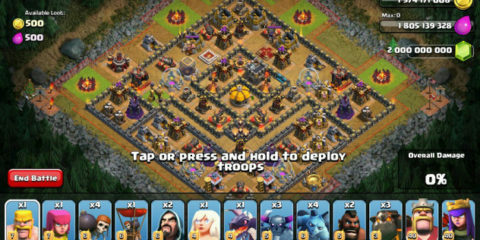 The very first Town Hall 9 War Base Layout I’d want to show you is a vintage dead zone base. This TH9 Dead Zone Base works out great against Hog Rider based attack, including GoHo or GoVaHo. 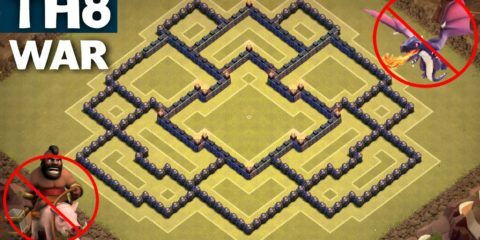 I only see very expert players beat this base properly, but a majority of of the time attackers fail big time. The second TH9 War Base Design is without a dead zone, but it draws in attackers with the almost exposed (semi-exposed) Town Hall. 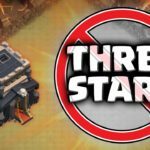 Getting 1 Star is fairly easy, but 1 Star is not winning Clan Wars. The double Giant Bombs are excellent against Hot Riders and many attackers will have trouble triggering them without investing their full army. The third TH9 War Base takes advantage of a centralized Town Hall. The attacker will have the hard choice of either moving in from the north side, most likely with Earthquake Spells to get the Town Hall, but no possibility getting 3 Stars; or from the bottom and secure max 2 Stars, but usually not the Town Hall. You usually have to choose what you want to secure in your farming base, so I picked some various layouts. Two of them for protecting all your resources with similar priority and a farming base with quite strong Dark Elixir protection. 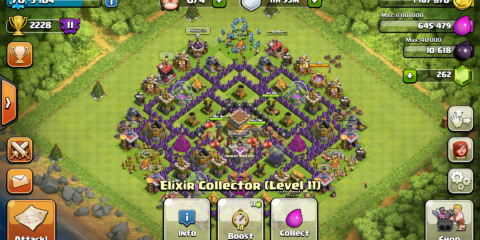 This very first TH9 Farming Base Layout tries to secure all resources. The Storages are separated and, although they appear easy to reach, they are always within the second line of defenses. You may also see there is protection against Wall Breakers on all intersections where attackers will seek to gain access to your base. 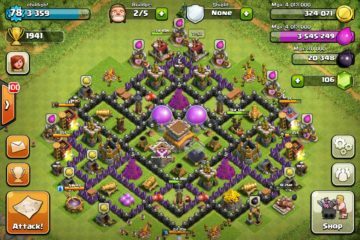 This second Town Hall 9 Farming Base offers an outside ring and saves the core with a double layer of Walls. You may also note that the Storages are protected with all splash damage forces available, particularly against attackers who want to try sniping with cheap troops. 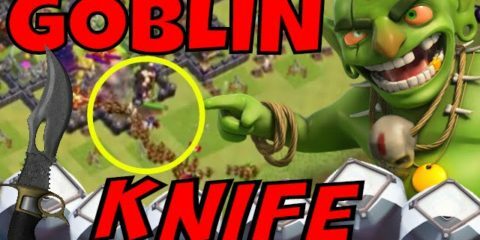 If you’re in urgent need of Dark Elixir and are planning to protect your Dark Elixir in the best suited way you might want to try this last TH9 Farming Base. There is hardly any way to enter the core and take the ark Elixir, but attacks are simple enough to grant you a shield for getting 30% damage. 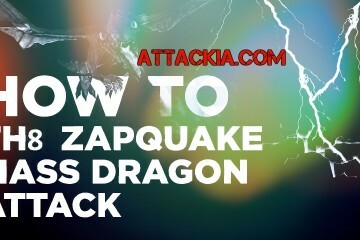 Hope so you guys like the whole guide! If any changes require make sure let us know via comment.